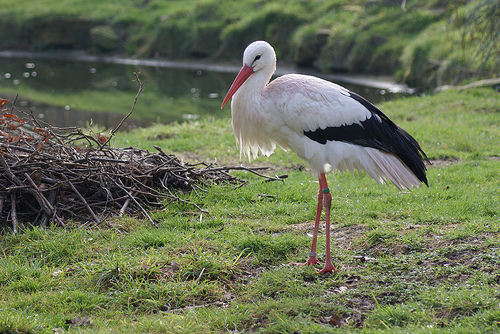 After a difficult period, the Stork is slowly increasing in numbers in western Europe. 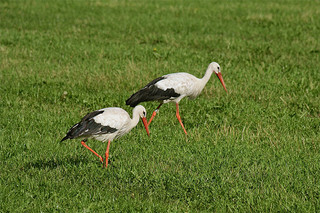 In the Netherland they are supported by so-called "stork villages". It is a large, stately bird that quietly walks through the grass, searching and pecking at potential prey. They are omnivorous; worms, mice, frogs, etc. will be eaten easily. In sunny weather they circle around on the rising hot air and you can see the big birds in the sky.